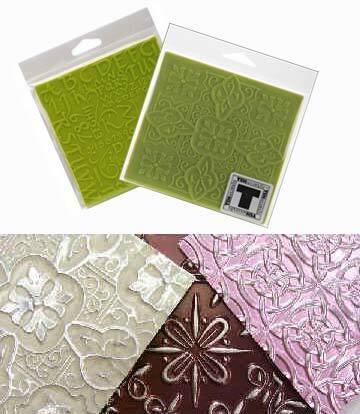 Create textures on clay (Artclay, PMC clay, polymer clay) by pressing this texture sheets on clay material. This texture plate is made from high quality heavy duty plastic mold, so... it can be used to make texture (emboss) on paper and thin metal. Size: 125 x 125mm with 2 sides motif designs.